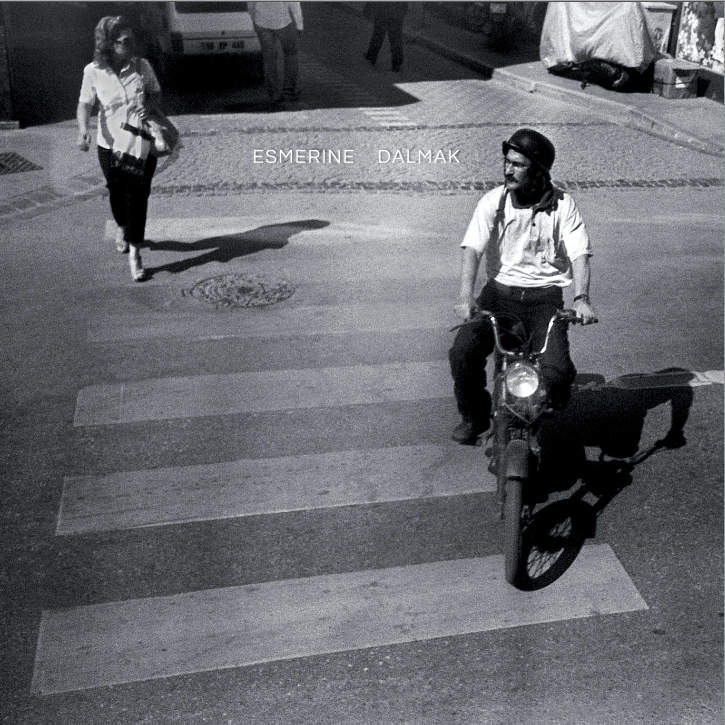 Esmerine’s new album Dalmak emphatically confirms that the group has continued writing, exploring and collaborating – definitively extending its horizons in this new iteration of the band’s trajectory. Bruce Cawdron (marimba) resigned from his seat as drummer for Godspeed You! Black Emperor in 2012, allowing him to focus more fully on Esmerine alongside co-founder and cellist Rebecca Foon (Silver Mt. Zion, Set Fire To Flames); the two principals also recruited percussionist Jamie Thompson (Unicorns, Islands) and multi-instrumentalist Brian Sanderson as full-time members to solidify the group as a writing and performing quartet. European tours in 2011-2012 brought Esmerine to Istanbul, where the group’s enthusiastic reception led to an invitation for an artist residency in the city. Dalmak is the fruit of that visit: the majority of the album was recorded in Istanbul, where the band’s four Canadian musicians were joined by an equal number of Turkish guest players: Hakan Vreskala, Baran Aşık, Ali Kazim Akdağ and James Hakan Dedeoğlu on various instruments. Dalmak is a Turkish verb with many connotations: to contemplate, to be absorbed in, to dive into, to bathe in, to rush into, to plummet. As a title for Esmerine’s new album, “dalmak” refers in a literal sense to immersion in the culture and music of Istanbul but also appropriately evokes the range of music that emerged from this immersion: a collection of songs that shift between meditative pulsing and enveloping restraint to headlong flights into rhythm and groove. With Dalmak, Esmerine presents some of its most richly minimal and intimate music alongside what is surely its most explosive, energized and ornate. The Quietus have shared ‘Barn Board Fire’, a real gem and my personal favourite track from the brand new Esmerine album. The album is a tour-de-force of cross-cultural music-making, emotive but unsentimental, deeply textured and detailed but never precious, superbly guided throughout by a balance of DIY rock, new folk and modern classical/contemporary sensibilities. On Dalmak, up-tempo rhythmic songs “Lost River Blues”, “Barn Board Fire” and “Translator’s Clos” are at the album’s core. Marimba, cello, drums, tenor banjo, bass and trumpet are joined by bendir, darbuka, erbane, meh, barama, saz and electric guitar from the local players for these centerpiece tracks, where extended melodic themes are passed around and woven through staccato grooves and polyrhythmic vamps in deeply satisfying fashion. Then, more studied cello and marimba songs “Learning To Crawl” and “White Pine” reveal the album’s gorgeously saturated warmth, depth and pulsing grit. Constellation will release Dalmak on 2 September 2013.